Spiritism. 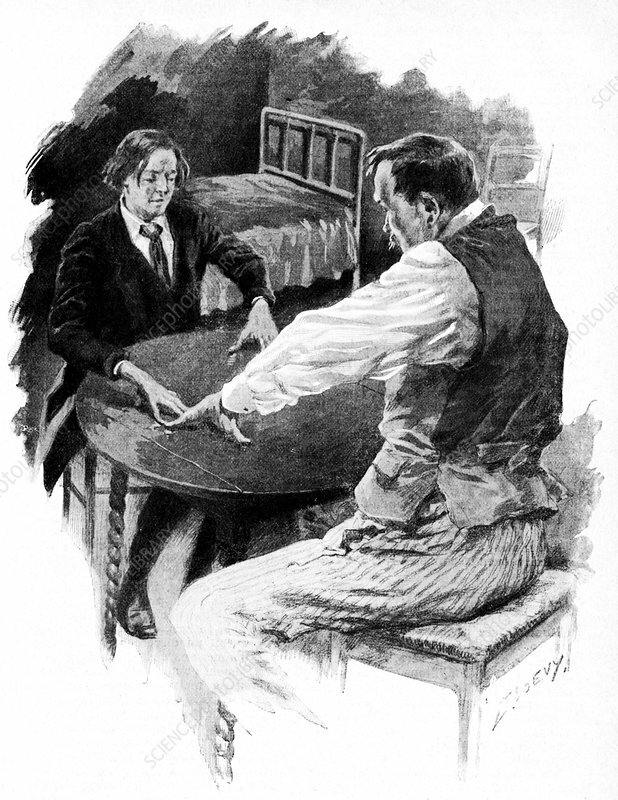 Historical illustration of men performing a spiritism seance. Spiritism is a Christian doctrine codified in the 19th century by the French educator Allan Kardec (Hypolite Leon Denizard Rivail). It is based on he five books of the Spiritist Codification written by Kardec reporting seances in which he observed a series of phenomena that were attributed to incorporeal intelligence (spirits). Image from Je Sais Tout magazine, France, July 1909.